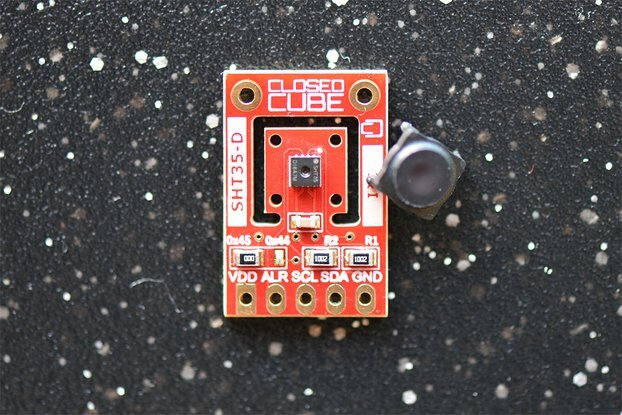 I chose this sensor+breakout-board, because I wanted to buy a "state of the art" device, and I didn't mind to spend a few bucks for it (stress:a FEW, not a few hundred). 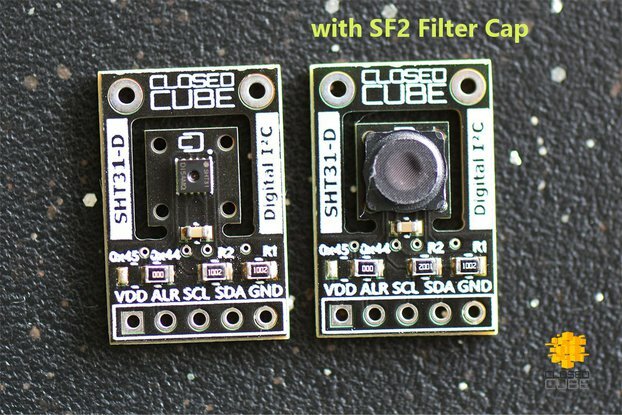 The availability of the filter cap, which is sold as an extra, was also very important for my decision to buy (read on to find out why). I have managed to to put it to work this week, connected (~4meters FTP cable) to an Arduino+Ethernet shield, in various test runs (over http and MQTT protocol). The stability over time of the sensor's output so far is really impressive. 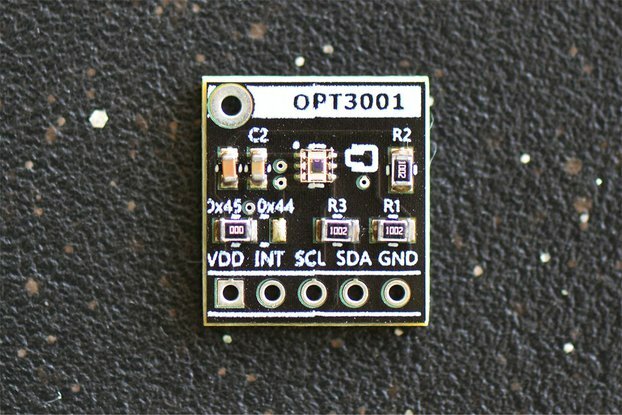 If you keep the sensor in a room with stable conditions, then there is practically no jitter and no ups and downs in the output (temp & hum). 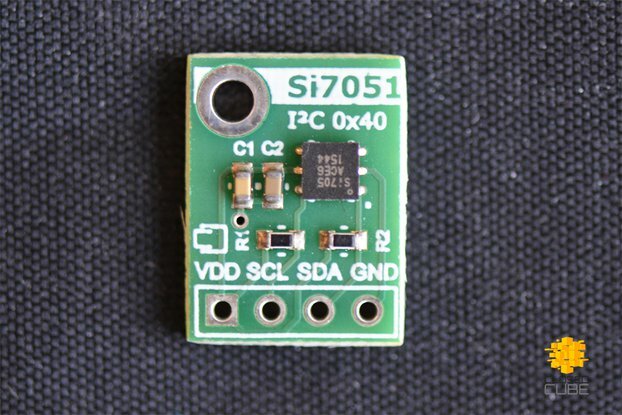 If you breathe at it, you can almost watch your breath passing by the sensor in the output! Furthermore, after I had managed to make it work in the software, there was not a single error in the output for hours. After I have finished setting up the rest of the hardware and software(which will take me quite some more time) I am going to test the sensor in its intended position, where the environment is rather unfriendly! 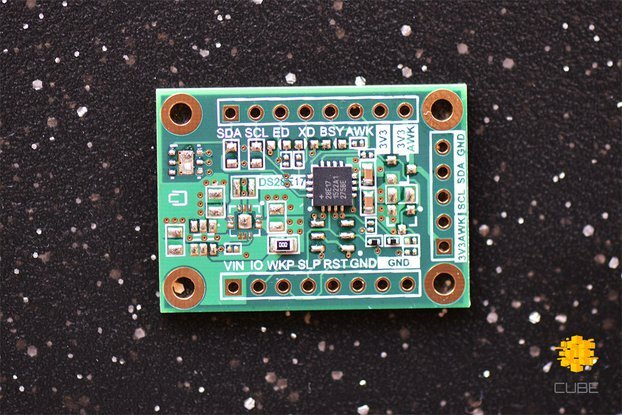 That is the reason why I chose it in the first place, because according to the sensor's datasheet it is specified to work with fairly high accuracy in these conditions as well. I am very curious how this will work out, and I am planning to update my feedback, after I have finished. I will probably contact support on this, I just want to be sure first, that I have done everything I could on my behalf. I can definitely say that for residential conditions this breakout board is very well worth its money! 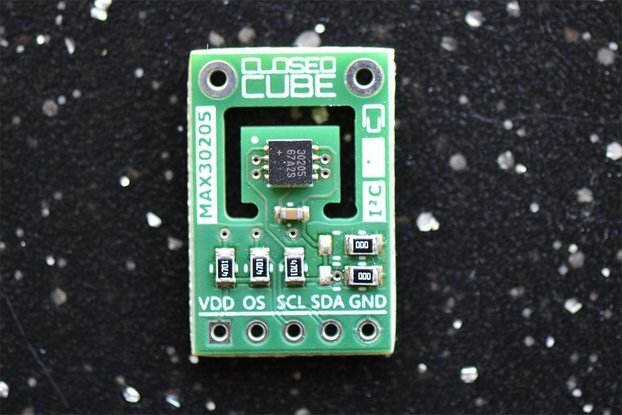 Thank you very much ClosedCube and Tindie for making this "high-class" sensor (+accessories) available to us amateurs! Nice board, good soldering, quick shipping. The summary says it all. 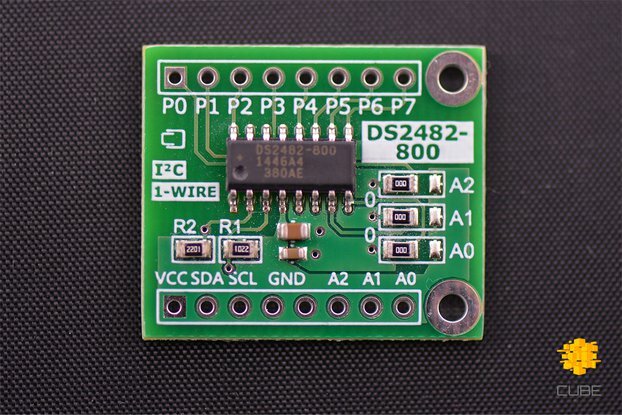 The board is well designed and, if you opt for the soldered headers, they are well done. Wired up, I've compared the results to a calibrated RTD that has considerable cost associated with it and my numbers are right on target. I have experience with the Sensirion chips and know their value, but having this professionally installed on a board that I can easily wire up is fantastic. 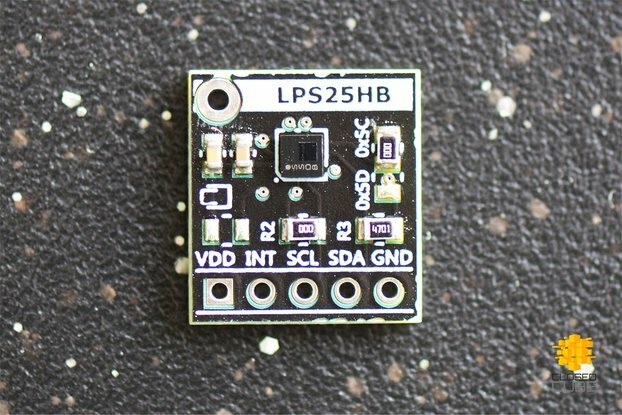 Can't ask for more and I'll certainly order this again if I am in need of inexpensive, yet robust sensors. Normally I would just stick with the single review for both the products, but the product quality and service has been exceptional. Delivery time was very reasonable from the UK to California. 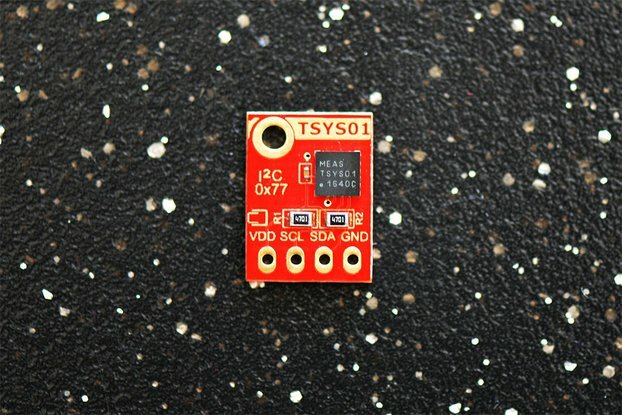 If you don't see what you're looking for, drop him a line -- I discovered some boards of his that weren't listed on Tindie that are now on my "short list" for the next order. I will definitely be ordering from ClosedCube again. 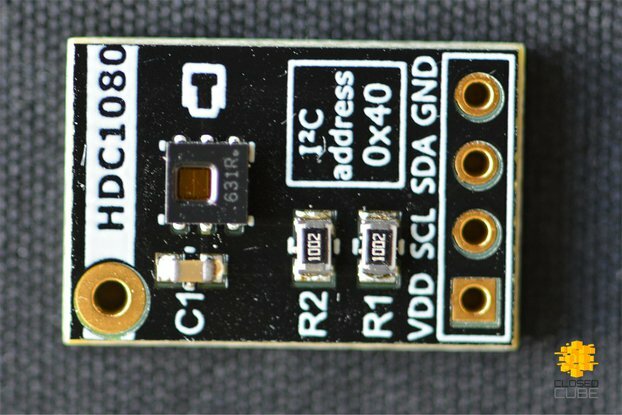 Purchased several of these HDC1010 boards and the design and fabrication quality is top notch. Packaging and shipment was professional and quick. Perfect to be able to evaluate these chips and the seller is great to work with. He's got more than the store itself shows and I'd suggest contacting him if there isn't exactly what you're looking for shown (or you're looking for something else). I'm looking forward to working with him again, perhaps for some custom work as well. 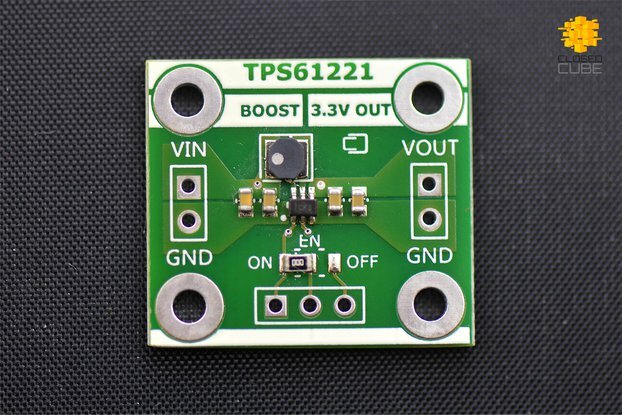 Great breakout board. 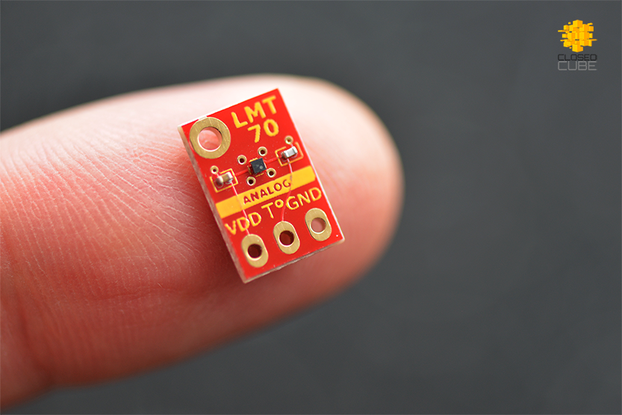 The sensor has plenty of configurable options but the I²C interface is fairly straightforward. The accuracy of the temperature sensor is surprisingly good. The humidity sensor is a bit wobblier but still up to the specifications. Great deal for the price.